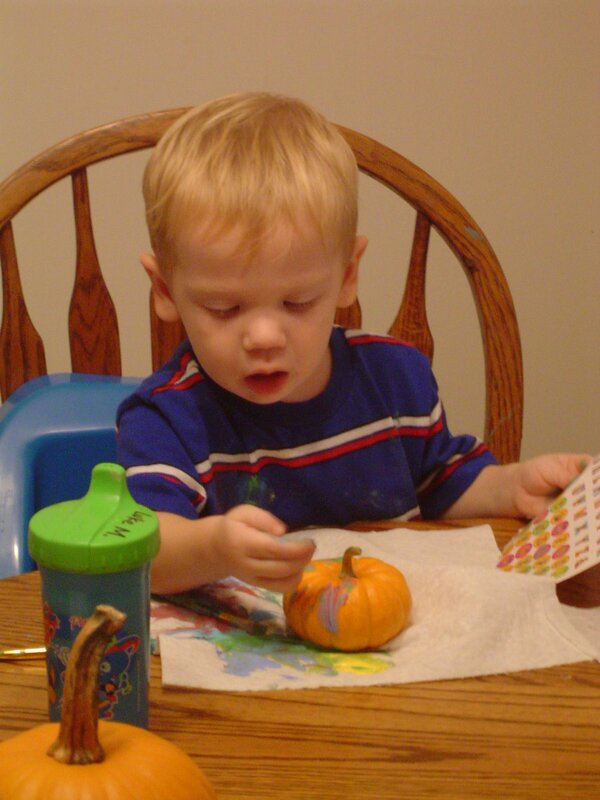 Tonight after dinner, the boys sat down at the table and painted their mini pumpkins. After painting them, they added stickers and Sharpie artwork. We had a church wide outside party Sunday night and let the kids play on the playground. 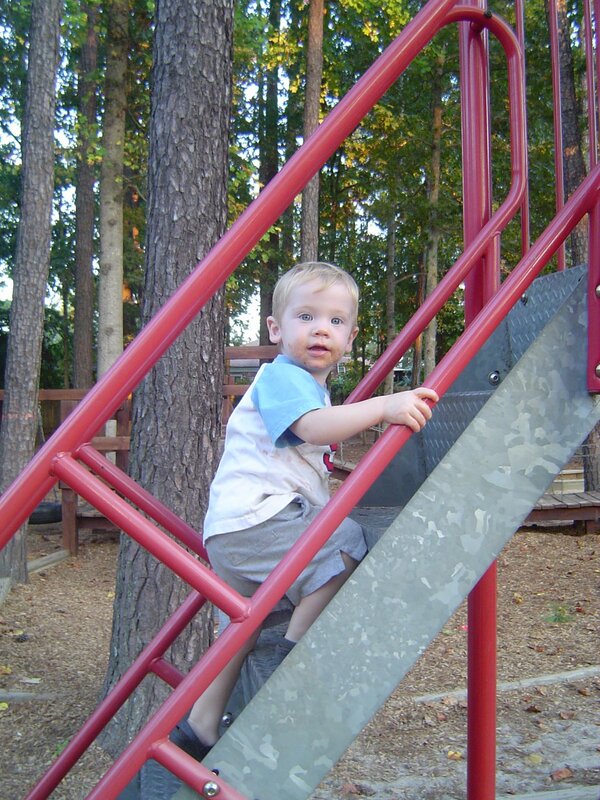 Luke lived on the slide. Notice his messy pizza sauce face. He wouldn’t be still long enough for me to wipe it clean. 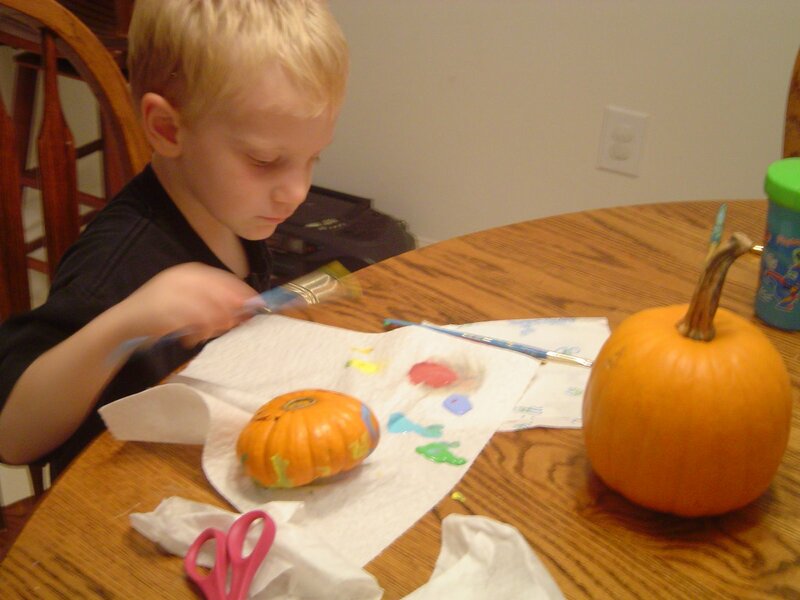 Oh well….let ’em be kids! This was the scene captured this past Saturday morning. 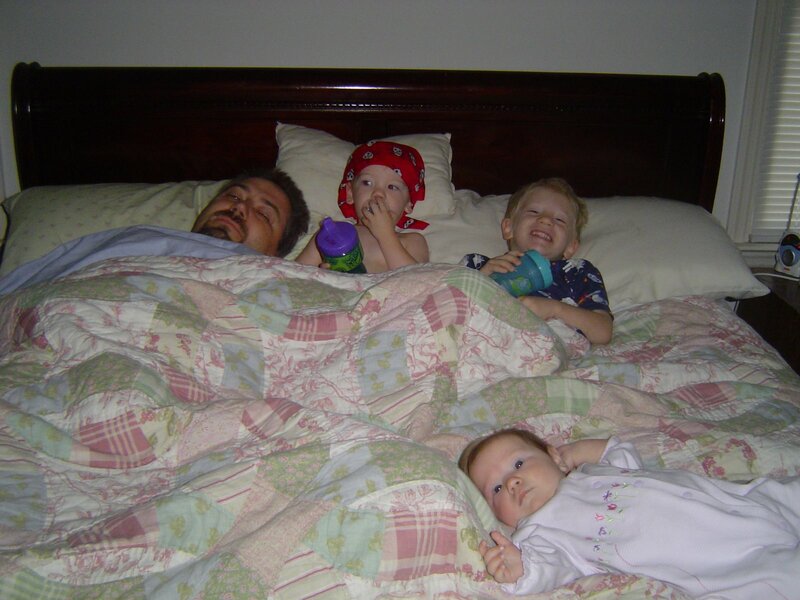 All the kids were piled in our bed with Dad. I, of course, was behind the camera. Notice Luke’s pirate scarf. He loves saying “Argh!”. No matter what time of day, a pirate is always a pirate!